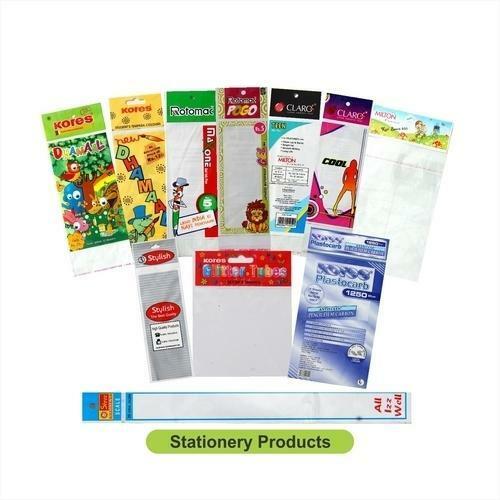 We are offering our valued clients a wide variety of BOPP Bags for Stationery. Our trained professionals design and develop these bags as per the requirements of the customers. The provided bags are ideally used for packing stationary. Upgraded technologies and advanced machines are used to manufacture these bags. The offered bags are available in various attractive designs and alluring colors. M/S Raghav Polymers was established in 1995 and is serving its customers excellently with an enviable reputation of one of the largest poly bag manufacturer in Delhi NCR. Our company is a one-stop destination of highly functional packaging bags from textile to grocery items. Our Customer Service Package includes manufacturing of Courier Bags, BOPP Bags, PP Clear Bags, Flexible Laminates, Packaging Bags, Zip Lock Bags, LDPE Carry Bags, HM Liner Shopping Bags and Plastic Express Flyers. We have well established infrastructure facility, which is endowed with required technology. This allows us to manufacture world class products, which are highly demanded in the international market. Our quality experts stringently conduct tests so that we offer the flawless range of products. We owe success to our team of efficient and qualified professionals, which dedicates its labor to ensure that our clients get the most optimum product.